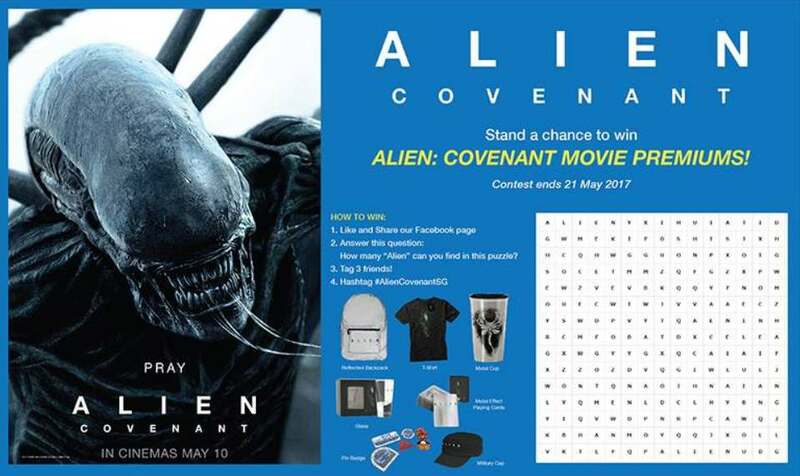 Stand a chance to win ALIEN: COVENANT movie premiums! How many “Alien” can you find in the puzzle? Contest ends 21 May 2017, Sunday. Winners will be announced here on 22 May 2017, Monday.